We design spaces where functionality and beauty go hand-in-hand. Colorado’s Top Residential & Commercial Interior Design TeamTime to PlanDesign Studio Interiors Solutions offers an array of services including consultations, interior architecture, space planning, and project management. We do this all with the help of our in-house DSIS Construction team. Whether you’re looking to remodel or renovate, we will build a team that perfectly suits your needs.Time to CollaborateOur team’s expertise doesn’t stop at interiors. We’re also your dedicated project managers and liaison between you and your contractors and architect. Our mission is to provide you with a creative, fun, seamless and stress-free experience.Time to DesignNo matter what kind of space you want to create, we are here to help you make confident and informed design decisions. From flooring and wall coverings to furniture and decor, we want your home to embody timeless design while still reflecting your personality and lifestyle. As owner of Design Studio Interior Solution, Judy Goldman has found the perfect place to connect her skills in the creative industry with her decades of experience in business and banking.Judy brings to the table not only a creative mind, but also 32 years of expertise in the fast-paced world of banking and business. She has founded and owned several companies throughout her career, including a business strategy consulting practice and catering company, both located in California.Her outstanding banking career, which took her to New York City, Los Angeles and San Francisco, gave her the finance and budgeting expertise help her add meaningful value for each of Design Studio’s clients at every possible juncture.On the design side of the business, Judy understands that creativity imbues our lives at every level. Her studies in graphic arts, photography and architecture, graphic design, and the culinary arts give her a well-rounded approach to understanding how art and beauty shape our experience. Judy’s keen eye for design and style paired with her dedication to Design Studio’s clients sets the firm apart.In her free time, Judy keeps busy working with numerous nonprofits including Blue Sky Bridge, JCC, the Boulder Symphony, AMGA, Paradox Sports, the Boulder Ballet and Southern Poverty Law. She currently resides in Boulder, CO and enjoys spending her time cooking, entertaining, and exploring the world with her husband and two grown children. candaced@dsinteriorsolutions.comEducation: University of Arizona, Bachelor of Science, Interior Design, and Interior Design Instructor at the Interior Design Institute and Fashion Institute Design Merchandising. 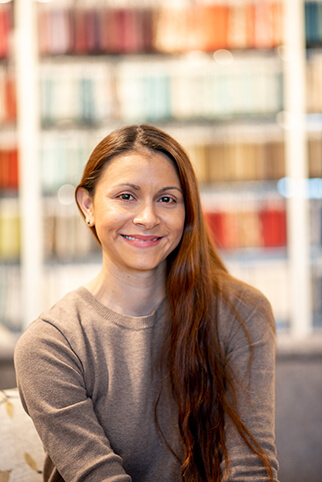 in Orange County, California.Candace has been trained in all aspects of interior design, remodeling, and creating custom designed furnishings to client specifications. She has completed numerous residential and commercial projects in California, Colorado, Hawaii, France and Shanghai, China. Candace has also designed several rooms in ASID design house projects. An artist as well, she has painted original canvases which are on display at Niwot Interiors , and is pleased to be able to offer commission paintings to coordinate with interior design themes. jenniferh@dsinteriorsolutions.comJennifer thrives in a creative atmosphere. With a degree in InterArts Studies from Naropa University in Boulder and a Master of Fine Arts from Goddard College in Vermont, Jennifer is a professional painter and mixed-media artist, as well as a writer. She is also a trained life coach, using her fine-tuned communication skills to help her clients meet their personal and professional goals. 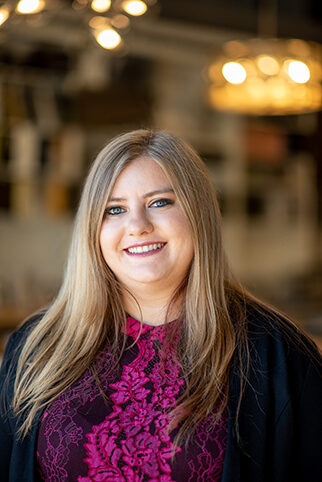 Jennifer’s creative nature and ease with communication are key to her role as Director of Communications at Design Studio Interior Solutions.Originally from Connecticut, Jennifer has lived in Colorado intermittently for more than 30 years. She is a seasoned world traveler—her explorations have taken her to Paris, Scotland, Barcelona, the U.K., and Switzerland among other locales; as well as an animal lover—she treasures her two cats and four sheep, named Lamby, Wanda, Fred and Barney. carolr@dsinteriorsolutions.com Carol is our bilingual administration and operations professional. Originally from Colombia, Carol learned professional proficiency in the English language through intensive coursework at the College of Charleston in South Carolina. With over six years of administrative experience, Carol excels at meticulous organization and has thorough attention to detail. Carol’s hobbies include salsa dancing, reading, running and volunteering. 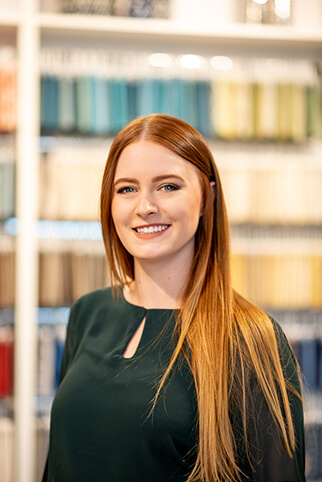 MollyF@DSinteriorsolutions.comMolly Finnegan graduated from the University of Wyoming in May 2017 with a Bachelor’s degree in Family and Consumer Sciences- majoring in Design, Merchandising and Textiles, and also earned a minor in Interior Design. Her favorite aspect of interior design is being able to create a space that is visually appealing while still being functional. She believes that because interior design is a such a flexible and creative field of work, the spatial possibilities are endless. In her spare time, Molly enjoys being outdoors and spending time with friends and family. 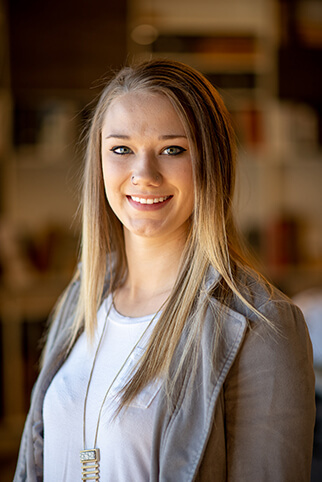 AshlynH@dsinteriorsolutions.comHailing from Monroe City, Missouri, Ashlyn moved to Colorado to pursue her Interior Design degree at the Rocky Mountain College of Art + Design. A lifelong passion for both art and math led to her career in interior design, where she merges the worlds of creative expression and mathematical precision every day. Ashlyn joined the Design Studio Interiors Solutions team after two years of designing kitchen and bath remodels. She uses her extensive technical skill set, problem-solving expertise and conceptual mind to create residential and commercial spaces that aren’t just beautiful, they also evoke emotion. “I like to imagine what the experience will be when you step into a perfectly curated room for the first time. That is what drives the design for me,” she says. When she’s not dreaming up her next design project Ashlyn loves to try new baking recipes with her teacup Chihuahua Turbo, cat Silas and boyfriend Dalton always around to taste test. Alyssaw@dsinteriorsolutions.comA Colorado native, Alyssa studied Interior Design at Iowa State University before returning in 2018. She joins the Design Studio team with years of experience working in the closet-design industry, which established her space-planning, layout-conception and 3D-modeling skills. Wagner is passionate about tailoring clients’ spaces to their personal story, and loves working with bold colors, geometric patterns and eclectic design elements. As for her own dream home? “It would have plenty of garage space for my future motorcycle collection, an open floor plan with a large kitchen for entertaining, a game room, and Art Deco-inspired style,” she says. On the weekend, Alyssa can be found riding her motorcycle through the mountains with her boyfriend Zak and hosting game night for friends and family. [They] changed my life and transformed my home. We needed help and I can’t tell you what an amazing experience we had. I highly recommend [them] to all who are looking for experienced professionals to transform their home. As owner of Design Studio Interior Solution, Judy Goldman has found the perfect place to connect her skills in the creative industry with her decades of experience in business and banking. Judy brings to the table not only a creative mind, but also 32 years of expertise in the fast-paced world of banking and business. She has founded and owned several companies throughout her career, including a business strategy consulting practice and catering company, both located in California. Her outstanding banking career, which took her to New York City, Los Angeles and San Francisco, gave her the finance and budgeting expertise help her add meaningful value for each of Design Studio’s clients at every possible juncture. On the design side of the business, Judy understands that creativity imbues our lives at every level. Her studies in graphic arts, photography and architecture, graphic design, and the culinary arts give her a well-rounded approach to understanding how art and beauty shape our experience. Judy’s keen eye for design and style paired with her dedication to Design Studio’s clients sets the firm apart. 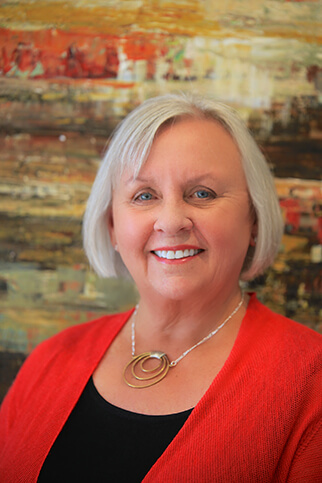 In her free time, Judy keeps busy working with numerous nonprofits including Blue Sky Bridge, JCC, the Boulder Symphony, AMGA, Paradox Sports, the Boulder Ballet and Southern Poverty Law. She currently resides in Boulder, CO and enjoys spending her time cooking, entertaining, and exploring the world with her husband and two grown children. Education: University of Arizona, Bachelor of Science, Interior Design, and Interior Design Instructor at the Interior Design Institute and Fashion Institute Design Merchandising. in Orange County, California. Candace has been trained in all aspects of interior design, remodeling, and creating custom designed furnishings to client specifications. She has completed numerous residential and commercial projects in California, Colorado, Hawaii, France and Shanghai, China. Candace has also designed several rooms in ASID design house projects. An artist as well, she has painted original canvases which are on display at Niwot Interiors , and is pleased to be able to offer commission paintings to coordinate with interior design themes. Jennifer thrives in a creative atmosphere. With a degree in InterArts Studies from Naropa University in Boulder and a Master of Fine Arts from Goddard College in Vermont, Jennifer is a professional painter and mixed-media artist, as well as a writer. She is also a trained life coach, using her fine-tuned communication skills to help her clients meet their personal and professional goals. Jennifer’s creative nature and ease with communication are key to her role as Executive Chief of Staff at Design Studio Interior Solutions. Originally from Connecticut, Jennifer has lived in Colorado intermittently for more than 30 years. She is a seasoned world traveler—her explorations have taken her to Paris, Scotland, Barcelona, the U.K., and Switzerland among other locales; as well as an animal lover—she’s mother to two cats and four sheep, named Lamby, Wanda, Fred and Barney. Carol is our bilingual administration and operations professional. Originally from Colombia, Carol learned professional proficiency in the English language through intensive coursework at the College of Charleston in South Carolina. With over six years of administrative experience, Carol excels at meticulous organization and has thorough attention to detail. Carol’s hobbies include salsa dancing, reading, running and volunteering. Molly Finnegan graduated from the University of Wyoming in May 2017 with a Bachelor’s degree in Family and Consumer Sciences- majoring in Design, Merchandising and Textiles, and also earned a minor in Interior Design. Her favorite aspect of interior design is being able to create a space that is visually appealing while still being functional. She believes that because interior design is a such a flexible and creative field of work, the spatial possibilities are endless. In her spare time, Molly enjoys being outdoors and spending time with friends and family. Hailing from Monroe City, Missouri, Ashlyn moved to Colorado to pursue her Interior Design degree at the Rocky Mountain College of Art + Design. A lifelong passion for both art and math led to her career in interior design, where she merges the worlds of creative expression and mathematical precision every day. Ashlyn joined the Design Studio Interiors Solutions team after two years of designing kitchen and bath remodels. She uses her extensive technical skill set, problem-solving expertise and conceptual mind to create residential and commercial spaces that aren’t just beautiful, they also evoke emotion. “I like to imagine what the experience will be when you step into a perfectly curated room for the first time. That is what drives the design for me,” she says. When she’s not dreaming up her next design project Ashlyn loves to try new baking recipes with her teacup Chihuahua Turbo, cat Silas and boyfriend Dalton always around to taste test. In retrospect, Samantha was destined for design. As a child, she spent time building houses and designing furniture for her dolls rather than playing with them. This eventually led to a degree in Interior Design & Architecture from the University of Oklahoma. Samantha’s career took off in San Francisco, where she designed international Apple stores and worked for a commercial furniture supplier that sold high-end products to top tech companies like Google. In 2014, Samantha relocated to Colorado for the rugged Rocky Mountain landscape, and now spends weekends backpacking and camping with her dog Azula. A Colorado native, Alyssa studied Interior Design at Iowa State University before returning in 2018. She joins the Design Studio team with years of experience working in the closet-design industry, which established her space-planning, layout-conception and 3D-modeling skills. Wagner is passionate about tailoring clients’ spaces to their personal story, and loves working with bold colors, geometric patterns and eclectic design elements. As for her own dream home? “It would have plenty of garage space for my future motorcycle collection, an open floor plan with a large kitchen for entertaining, a game room, and Art Deco-inspired style,” she says. On the weekend, Alyssa can be found riding her motorcycle through the mountains with her boyfriend Zak and hosting game night for friends and family.